Jeffrey is a CERTIFIED FINANCIAL PLANNER™ Professional (CFP®), having begun his professional wealth management practice in 1984. He is the team leader at Global Wealth Management Group, a Boulder branch of LPL Financial. Jeffrey earned a BA in English Literature from Washburn University and his CFP® professional designation from the College for Financial Planning. He also did graduate work at Washburn University School of Law and is proud of his 35+ years of continuing professional education required to maintain his professional designations and licenses. 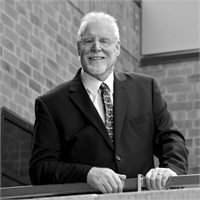 He is a 35 year member of the Financial Planning Association and the Colorado Society of the FPA. Jeffrey holds the Series 7, 24, 63, 65 registrations through LPL Financial and licenses in life, health & long-term care insurance. Jeffrey has over 25 years of business experience in Latin America and is bilingual (Spanish). He is an active member of the American Society in Mexico City, where he maintains a second residence. Jeffrey splits his time between México and the USA, having chosen Colorado as his family’s primary residence and the principal location for the GWMG* offices. He is active in all phases of our practice, though he devotes the majority of his time to client relations, business planning and new business development. Jeffrey is an overall sports enthusiast, loving his bicycles in Colorado and México. He collects art and enjoys time spent in the appreciation of art, architecture and design. He has been fortunate to travel the world and appreciates his bicultural lifestyle. Jeffrey is married to Elbira Hernández, a bilingual educator and translator. He also has a son, Christopher, who works at the firm.